Patients are always asking me if they should avoid gluten, even if they aren’t experiencing symptoms. And I have to say, the research points to yes. Gluten has been found to negatively impact the lining of the gut, creating “leaky gut” or intestinal permeability, even in those who do not have celiac disease. The lining of the gut is supposed to be strong and tight, keeping food, waste, and microbes inside the digestive tract. Gluten can cause the release of an inflammatory protein called zonulin, which opens up the junctions in the lining of the gut and causes gaps, allowing particles to leak into the bloodstream (where they don’t belong) and creating an immune response. This sets the stage for systemic inflammation. That’s why gluten is not a part of my Pegan diet. Gluten-containing grains, like wheat, rye, and barley, aren’t serving our health, but they are hurting our health—it’s a pretty clear dietary choice when you think about it. Plus, when you ditch the crackers, cookies, breads, and pastas made with gluten, you have more room for nourishing, real foods like colorful vegetables and high-quality fats, which many people don’t get enough of. 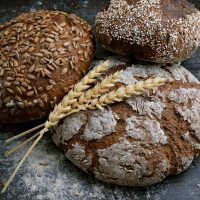 In my own practice, I’ve noticed that gluten is the most common food sensitivity. Even if a doctor tells you your tests for gluten antibodies or celiac are normal, you can still have a severe reaction. And it isn’t just your bowels that can become affected, so can your mood, energy levels, skin, and many other aspects of your health. But gluten is just one piece of the puzzle. There are many other foods that can elicit inflammation and symptoms of sensitivity, but it all depends on the individual. If you missed this week’s episode of The Doctor’s Farmacy, my good friend Dr. David Perlmutter joined me to talk about the powerful links between diet and brain health, especially when it comes to consuming gluten and even certain gluten-free grains. 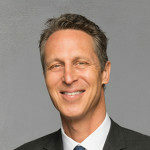 His books include the #1 New York Times bestseller Grain Brain, The Surprising Truth About Wheat, Carbs and Sugar, and his new book, Brain Wash, co-written with Austin Perlmutter, MD, will be published in January 2020. We have the power to heal the brain and support long-term health by choosing a nourishing diet. In this recent episode, Dr. Perlmutter shares how gluten and other foods can alter the gut in multiple ways and what that does to our brain. Most importantly, he shares helpful tips on how to eat for energy, mental acuity, and longevity. I hope you’ll tune in to find out how to boost your own brain at any age.